It’s Friday night at Barr Camp. I just put dinner on the table and retreated to what I think of as the ‘magic corner.’ About the size of a walk-in closet, it’s a small space tucked away in the corner of the cabin. What lives here is a laptop, a tiny shower and propane water heater, a mirror, a bunch of medical supplies, a wee desk cluttered with office supplies, and a writer who does and does not feel like writing. Sure, my head is cluttered with thoughts, but I’m struggling with what to do with them. I could sit here and stew all night, but that won’t get me anywhere. I like to write when inspiration strikes, but here I sit, punching the keys like a boxer. I’m searching for words. Maybe I’m reaching for them. In a way it feels good, therapeutic even. Yet in the same moment the timing feels so off. That’s just it, though. Timing. Is there anything in life that we fight more? As runners we can have a very love-hate relationship with it. I’m reminded of it every winter when I fumble my way through trying to create a race schedule. There are so many races, projects, and dreams to chase. How does one choose between redemption and once-in-a-lifetime opportunities? Between Transvulcania and Madeira, UTMB and Hardrock, JFK and TNF 50? Perhaps the easy answer is not to choose at all, but to do it all. It sounds easy enough. Then there is that little thing called burnout. Not solely from doing too much, it’s a result of doing too much in too little time. There it is again, that time thing. How ironic. Maybe you don’t struggle with decisions like I do. Perhaps you are a master planner with impeccable decisiveness. Wonderful. You still don’t get off the hook. Even after you’ve nailed down that perfect schedule, you take the next step. You head out the door to train. If you’re anything like me, you think of how many weeks you have until your next race. Sure, my training regimen is looser than a pair of ’90s JINCO Jeans. Nothing gets written down, Strava is nowhere to be seen, and the split function on the good ‘ole Casio might as well be broken. But still, the timing is there. The temptation to race the watch. The self analysis–or torture (is there a difference? )–about how I’m feeling and if that’s good or bad in relation to where I’m at in my training block. Over the years I’ve learned to let go of a lot of it. Train and forget, as the Kenyans do, or so they say. That’s easier said than done. 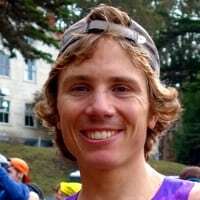 Whether you analyze more than Gary Gellin post-TNF 50 (Gary, you’re the man! ), or time your runs with a sun dial and stop to smell ALL the roses, chances are you still feel the pressure of Father Time in some regard. In the event that in some way you’ve escaped all such worries, you’re still not out of the woods. Race day comes, the gun sounds, and the clock starts. Maybe you don’t care about that. You just want to have a good time. That’s totally fine, except that there are still those things called cutoffs. Say there aren’t any. You’re just out for a long run. There is still sunset, impending storms, plummeting temperatures, and dinner plans. (Don’t be late for dinner!) Then there is hunger, exhaustion, and sleep deprivation. All of these things are at the mercy of time. Try as we may, it can’t be escaped. We can clock out, tune out, and zone out, but time always ticks. It cannot be outrun. The same is true in life. Time is something we just can’t control. Sometimes life goes swimmingly as everything seems to flow just right. Other times it seems so terribly off. An injury crops up as you start to hit your groove for an upcoming race. A loved one dies at the moment you feel you need them most. A job is lost just after settling on a new house. The list goes on and on. We search for answers and explanations, but come up empty. And yet, hope is not lost. Amidst the seemingly vicious and unstoppable cycle of time, there are still choices. We may not get to control the clock itself, but we can alter how fast or slow we move amidst its cycle. Sometimes, as in a race, we try to go as fast as possible. Other times we slow things down. We appreciate the little things. Fast or slow, it is in this moving that we attempt to make the most of what we’ve been given. 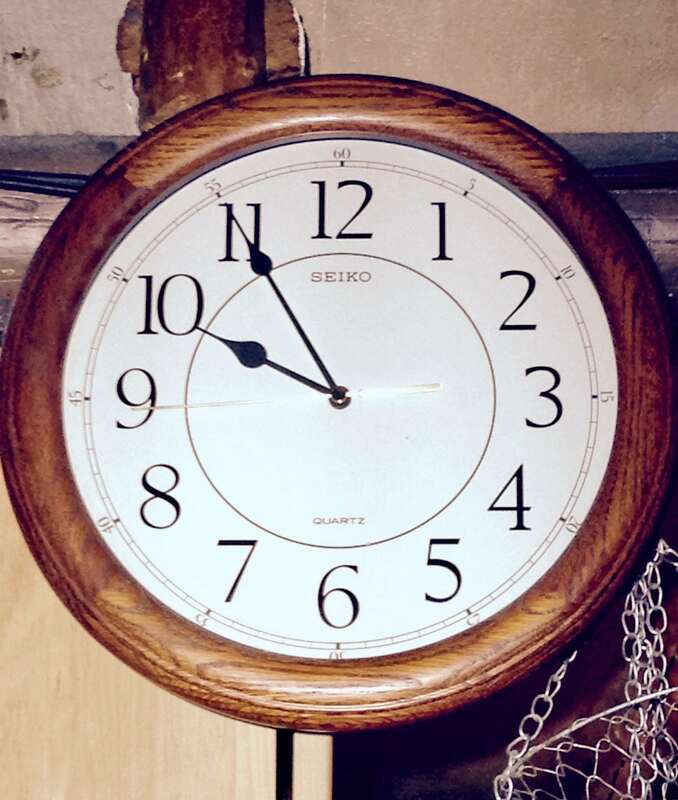 Sure, the clock always ticks, but what we do with the years, months, weeks, day, hours, and seconds is up to us. We can squander it or make the most of it. 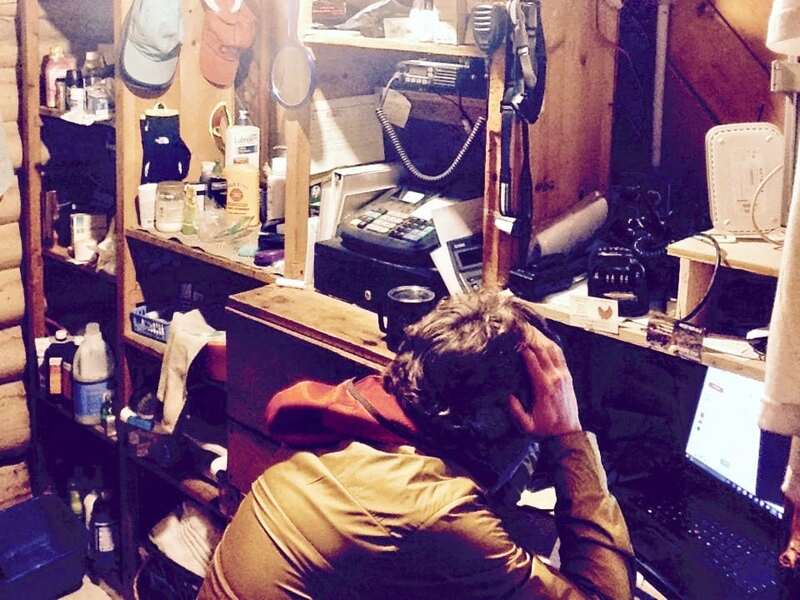 We can stubbornly stare at a computer screen on a Friday night, or we can punch some keys and see where it leads. The funny thing is that sometimes when we look back, the timing makes sense. The events that seemed so off now seem to line up perfectly. It’s as if it were all being orchestrated according to some sort of master plan. It only seemed flawed because we lacked the ability to see the big picture. Oddly enough, it’s like this article. Three days later, on a quiet Monday night, I find myself back in the ‘magic corner,’ re-reading the words that I pounded out last Friday. When I wrote it and sent it off for review, I wasn’t so sure about it. I almost never am. Seeing the reply in my inbox, I feared what it might say. For a while I let it sit there, telling myself I didn’t want to open the email until I reread the article, hoping that doing so would give me a bit more confidence. As I reread it I found that the timing that had seemed so off that Friday night had actually produced something I liked. Go figure. Do that, and chances are that one day, miles down the trail, you’ll look back from your magic corner and smile at the story you wrote. Do you ever find irony in the notion of time? How often do you feel that timing is off in the moment, but in hindsight you realize that the timing was actually just right? I think this is – by far – the best piece you have written! Thanks. Thanks Quigley! Glad you liked it. Great, thought provoking article, Zach. You hit on one of the central paradoxes of this sport, and the reason I love its community of athletes, the desire to be present in some beautiful surroundings and the drive to achieve time-related goals. Can these two be reconciled? Are they necessarily exclusive of one another? I find that I feel better, and consequently perform better, when I’m able to forget about time, yet consideration of time is not only a practical necessity, but a source of great motivation in this sport. Has Eckhart Tolle written on running yet? Thanks for sharing your thoughts Drew! I think racing the clock and enjoying your surroundings can co-exist, but at times they sure can seem to but heads. Sometimes I don’t stop to smell all of the flowers, but then again there are other ways to enjoy what you’re doing, like the rhythm of the run, the thrill of a fast descent, and the burn in your legs/lungs. Nice writing Zach! Ah time….our most precious “commodity.” And to think, when you’re up living at a high altitude time passes by faster (very very slightly) compared to those way down at sea level! Haha. Thanks Sage! Nice job at Sonoma and good luck with the rest of the UTMB prep! Great article Zach!, and now, answering Meghan’s last question, i did feel once that time was beyond what i could do prior to my second ultra which just happened 3 weeks ago. Just as zach wrote down here, i’m kind of a methodic runner, so i like to have all my weeks and days of training sorted out before i finally decide to sign up for a race, i consider that a good training block for an ultra must have at least 3-4 months of consistent training. To make it short, there was this race i really wanted to do in april, but i started the year injured and doubtful, not in real good shape, anyways, i worked my way thru recovery and started training by the middle of january, still not sure if i was going to be ready to pull out a good performance there, as i really wanted to be this my first time competing, i really wanted to tackle the top 10, but i thought time was not on my side. At last, i did run the race and got away with the 10th place in what for me was a highly competitive field. Time was well on my side. Thanks for the feedback and for sharing your story. Keep putting in the work and doing what you can with the time your given! I especially like this part: ‘Sure, my training regimen is looser than a pair of ’90s JINCO Jeans.’ So nice to see that there are also other athletes/runners out there who do not need to track everything but keep it simple – isn’t that exactly what running it is all about; put on the shoes and go.. Thanks Simon! And yes, I like that running can be simple. There is a certain level of structure to my training, but I try not to make it too complicated. I always enjoy reading your work. Insightful and thought provoking, with just enough humor to keep the reader engaged. The JINCO reference was amazing. ;) Thanks for sharing Zach. You write beautifully . I am so happy that I find your articles here today… I have printed them all out and will read them after my long run while sipping hot chocolate under the warm winter sun.